Popcorn seasoned with powdered chocolate. Hand-popped butterfly corn, sprinkled with a rich blend of Fairtrade cocoa and Demerara sugar, perfect for sharing. For us, taste is everything. Take this pack of Chocolate popcorn. 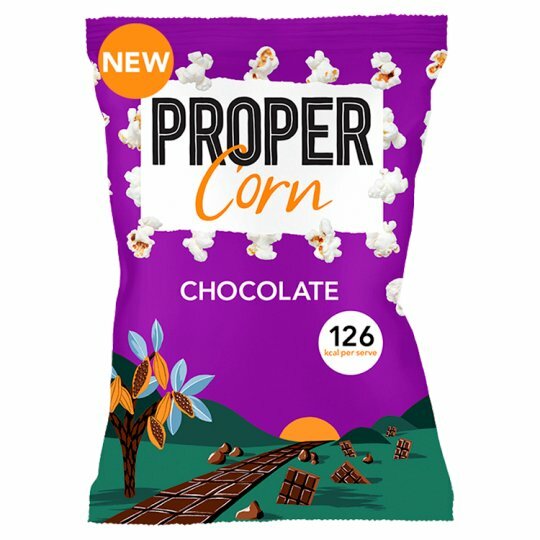 We coat our hand-popped, butterfly corn in a rich blend of Fairtrade cocoa and Demerara sugar for a sweet, chocolatey hit. Warning: May contain the occasional un-popped kernel and sugar lump.